There was much dismay but little surprise at the appearance of a gaggle of DUP MLAs to support Ruth Patterson at her court appearance. Those dismayed gave lectures about unionist leadership, or rather the dearth of it, but at the same time explained their lack of surprise by pointing out the DUP’s electoral requirements. In short, those guys turned up to secure their votes or the party’s votes in next year’s council and european elections. Perhaps. However, as you’ve read here before, the people who complain about the absence of leadership provided by the DUP are really complaining that the DUP won’t lead their party in the direction the complainants think they should. It’s just not true that the DUP is being led by the likes of Ruth Patterson. Many senior members of the party agree with her sentiments. Fundamentally, the appearance of DUP ministers and MLAs to back her up is no different from the appearance of senior Sinn Féin figures to back prominent republicans who have been arrested in connection with past alleged offences. Anyone remember the large turnout of Sinn Féin’s leaders (including members of the Policing Board) at PSNI HQ to protest at the arrest of Padraic Wilson? Those similarities apart, it’s the behaviour of the DUP on the wider political scene that causes dismay. In the past year , since the infamous letter to the then proconsul demanding the removal of the Parades Commission and justifying resistance to its determinations , the DUP has in effect acted as cheerleader to a unionist revolt against the Good Friday Agreement and the subsequent St Andrews and Hillsborough agreements. It’s often forgotten that the DUP never subscribed to the Good Friday Agreement and that senior figures rebelled against the St Andrews agreement, a deal concocted to bring the DUP into the fold. Remember the dirty dozen who signed a ‘manifesto’ rejecting the deal and then caved in at the first roar from Paisley? They’re still around and include McCausland, Campbell, Wells, Storey, Buchanan and Depooty Dawds. Several of the same culprits nearly scuppered the Hillsborough deal to devolve policing and justice when they mounted a late night challenge to Robinson’s intention to accept the deal. It’s a mistake therefore to imagine the DUP is a monolithic party. The recent internal conflict about the Maze/long Kesh Peace Centre, when Wilson had a frank exchange of views on the phone with Robinson in Florida, is only the latest manifestation. As the outworkings of the various deals and arrangements since 2006 have begun to take effect the misgivings of people such as the ‘dirty dozen’ have strengthened. They offer no alternatives. They simply ensure that the DUP reneges on everything they signed up to. No-one in the DUP has ever said a word in support of partnership at Stormont let alone in councils. The party is hostile to equality and human rights. They do not accept that there are legitimate competing allegiances and identities in the north. In traditional unionist fashion the DUP has ridden the past year’s wave of violence to hold back progress. DUP councillors and MLAs who were out blocking the streets with flag wavers were not there because they worry about their votes but because they agree with the protesters. The violence has successfully offered political cover for the DUP’s lurch to the right on parades, flags and emblems and dealing with the past. 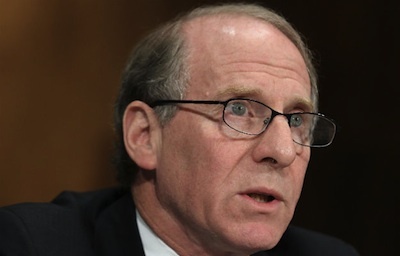 Which brings us to Richard Haass whose first meeting with the all-party group on such matters is scheduled for September 16. The first point he needs to ascertain is whether the DUP and UUP representatives are there as members of the loyal orders or members of their parties. He needs to find out because in the past year the DUP has thrown its lot in with the Orange Order acting as its political mouthpiece. As for the Orange Order in Belfast, its leaders have been quite happy to use UVF muscle in north and east Belfast to try to enforce their will against police. In other words Haass must try to find out who the DUP members at the table are really speaking for and whether the Orange Order and UVF have a veto on progress.